Both this weekend and last, I suffered from painful cases of the Shoulds. 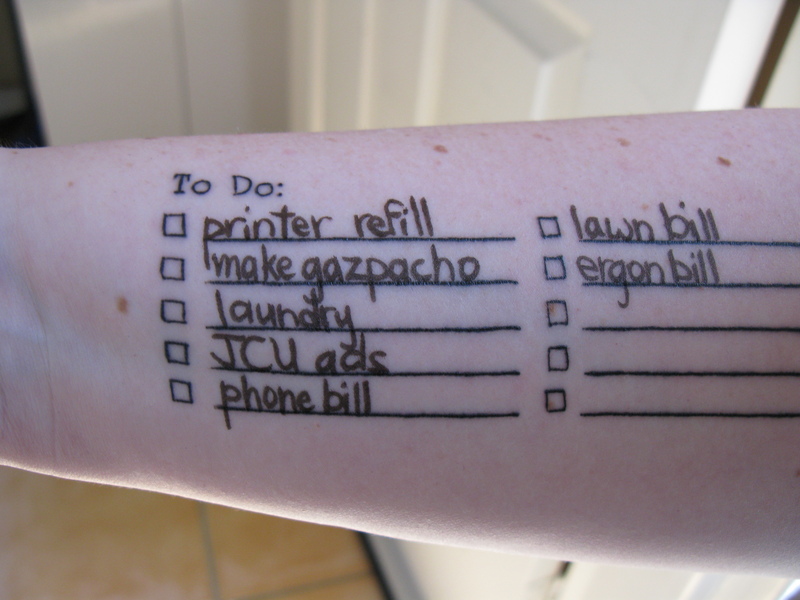 My long scroll of a TO DO list seems to be ever lengthening, and at the top are household chores by the dozen. So I compromised last Sunday. I would walk Molly for 1 hour only. 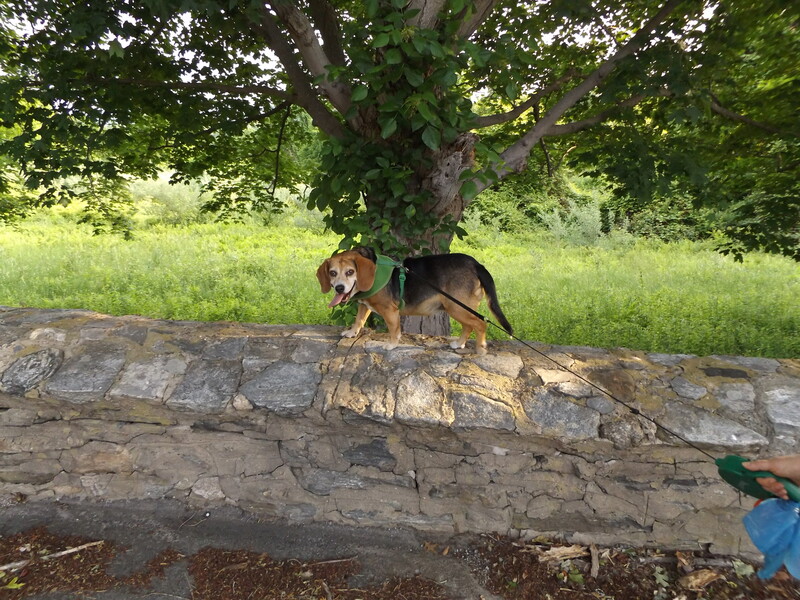 It takes an hour to foot the mile to town and back with this beagle who follows her nose, who strains with vigor and passion at the leash whenever a new smell beckons. We set out at sunrise, treated to a Hallelujah Chorus from (mostly unseen) birds in the thick pines that line our yard. I admired a garter snake on the asphalt and right after that the prolific leavings from a neighbor’s cottonwood tree (it looked like snow was lining her driveway!). I later learned that “nuisance” cottonwoods have a lot going for them, and a proud history. I also read up on why birds sing at dawn, or at least the latest attempt to explain this mystery. (Science fully respected, but I think I’ll always experience the chorus as the ultimate hymn of joy and praise). My compromise morphed into a substantial ramble when I learned that Tom and Gavin were also up early. They met Molly and me at town dock, where we had breakfast and gazed out at the water. 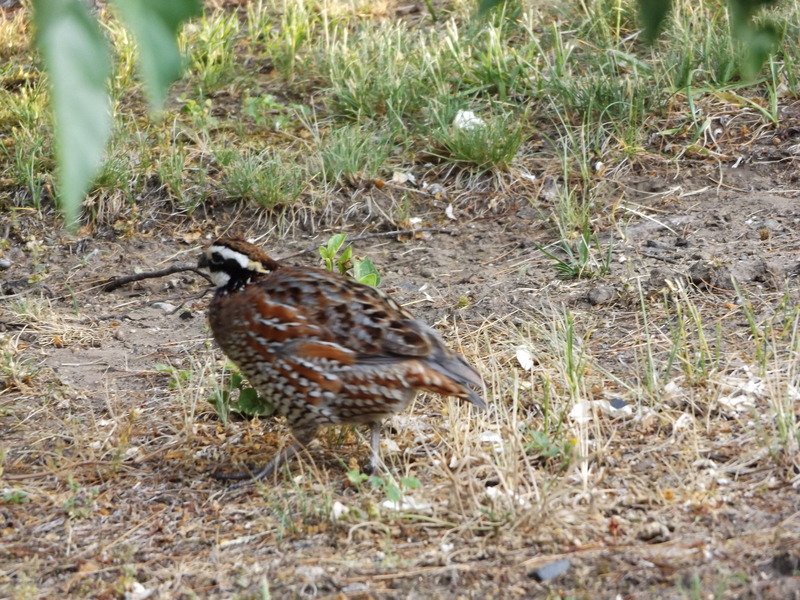 We watched a heron and tailed a pair of Northern Bobwhites ambling along Kirtland Street. We climbed the gradual hill to Mount Saint John, a stately fixture of Deep River since 1904. Tom photographed a bluebird peeking from its house on the grounds. There were still Shoulds to return home to. In the hours following this happy indulgence, I caught up with the laundry and restored some sanity to our household environs. But I am so glad I took that 1-hour walk that turned into a 2-plus hour walk. And that later, we all took the drive to Middletown so we could learn about caterpillars and gather some phenology (the study of what happens, and when, in nature) data, courtesy of the Connecticut Forest and Park Association. Phenology matters, much more than housekeeping and crossouts on the daily To DO list, and here’s a brief article that gives examples of why.